The Madras High Court today quashed an order , enabling the state grant weightage marks to serving candidates in primary health centres in rural and government hospitals. 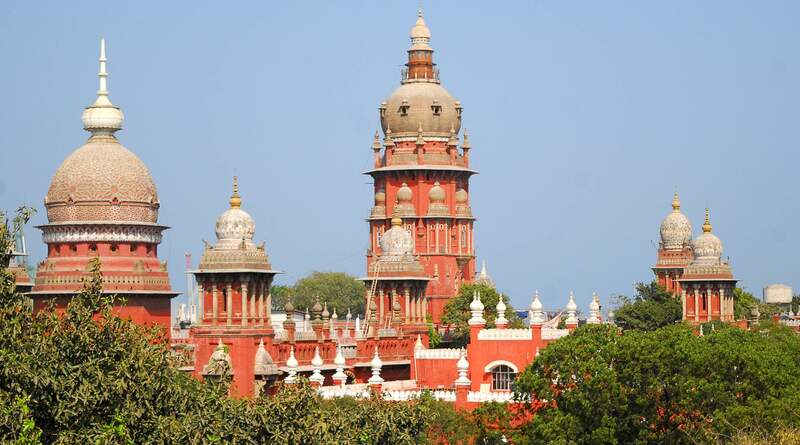 Chennai: The Madras High Court today quashed a Tamil Nadu Government Order, enabling the state grant weightage marks to serving candidates in primary health centres in rural areas and government hospitals/public health centres/government medical college hospitals in 3 districts. It directed the selection committee of post graduate degree/diploma medical courses to reconfigure the May 7, 2017 merit list, except in A, B and C categories, within three days. List A comprises primary health centres in hilly areas, under the Directorate of Public Health. 'B' again comprises PHCs in hilly areas, albeit,functioning under the Directorate of Medical and Rural Health Services (DM&RHS). List C comprises government hospitals working under DM and RHS, located in remote and difficult areas. A Division Bench, comprising Justices Rajiv Shakdher and R Suresh Kumar quashed the May 6, 2017 Government Order when a batch of petitions came up before it, seeking to quash the merit list on the basis of the Government Order. The Government Order had amended the prospectus enabling government grant weightage marks to candidates of PHCs in rural areas and to government hospitals/PHCs/Government Medical College Hospital in TNR ((Tiruvarur, Nagapattinam and Ramanathapuram) Districts. The petitioners submitted that the government while preparing the final list accorded weightage without providing criteria to identify remote and/or difficult areas. If these areas were not identified, based on a known, reasonable and/or rationale criteria, there was every chance that weightage-marks would be given to undeserving candidates, they said. They contended that weightage has been given to candidates in government service and who have served in areas which do not qualify as remote and/or difficult areas. The state government after the NEET judgement of Madras High Court, which stated that awarding of marks should be based on only Medical Council of India rules and on basis of marks in NEET for PG Medical Admissions, had passed the May 7 Government Order adding to the prospectus not only PHCs in rural areas but also government hospitals, PHCs and government medical college hospitals, in TNR. The bench said the Government Order will not pass muster as no material was placed before it to show that PHCs/government hospitals/government medical college hospitals in the TNR Districts fall within the definition of remote or difficult areas. Rejecting the Additional Advocate General's contention that these institutes in TNR districts were taken into account to grant weightage to in-service candidates, as these districts were hit by tsunami in 2004, the bench said that the government while doing so, had taken into consideration only three of the seven districts affected by the natural disaster. Secondly, as in the case of rural PHCs, nothing had been placed on record to show why after a lapse of nearly 13 years, the state government felt that the TNR districts can be classified as remote and/or difficult areas, the bench said. Thirdly, if the explanation offered had any merit, the TNR districts ought to have been straightaway included into the prospectus, which relates to remote and/or difficult areas. The bench recorded its disappointment on MCI's statement that the responsibility to identify remote and/or difficult areas lay with state governments concerned. It said that since MCI, under the Indian Medical Council Act, 1956, has the responsibility of maintaining high standards of medical education in India, it ought to have, in this case at least, taken a stand on whether the situation would further or dilute professional standards, in the field of medicine. "Our sense of the matter is, in the instant case, merit has been given a complete go-by," the bench said. The bench which directed the merit list be reconfigured, however said that though merit list as drawn up was completely flawed, it was saved to the extent weightage was granted to in-service candidates, who worked in areas/districts in List A, B and C.